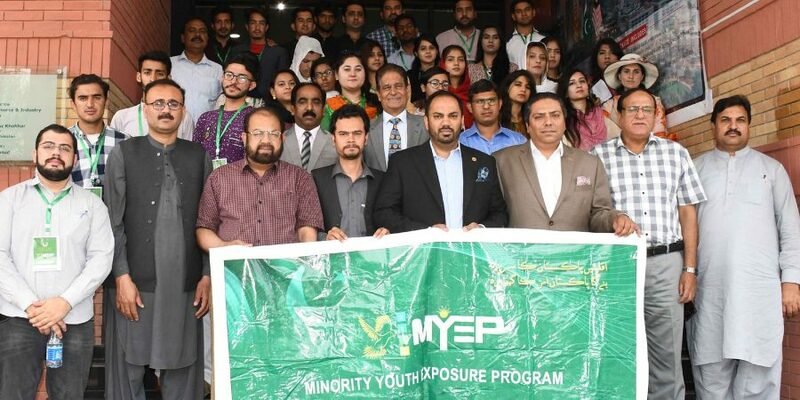 ISLAMABAD, APR 11 (DNA) – A large delegation of minority youth of KP led by Auqaf, Hajj, Religious & Minority Affairs Department, Government of Khyber Pakhtunkhwa visited Islamabad Chamber of Commerce and Industry for an interaction with the local business community. Speaking at the occasion, the representative of Auqaf, Hajj, Religious & Minority Affairs Department of KP said that KP Government has taken an initiative “Minority Youth Exposure Program (MYEP) 2018-19” under an ADP Scheme for the empowerment, exposure and development of minority youth that will help them to build their confidence and enhance their soft skills through various opportunities and platforms. This project included visit of minority youth delegations to various provinces including Islamabad, AJK, Punjab and Sindh. He said under MYEP, minority youth will visit various renowned places related to education, health, history, archaeology, entertainment, business and will also meet with renowned personalities including government offices, policymakers, civil society experts, social & women activities, diplomats, business tycoons, trainers, public speakers and journalists etc. He said the current visit of minority youth delegation of KP to ICCI was a part of MYEP. 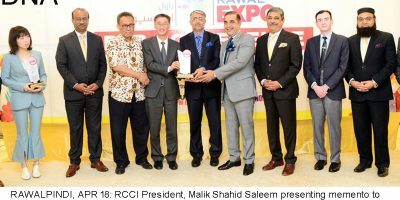 He thanked ICCI for hosting the minority youth delegation and hoped that its interaction with business community would be very beneficial for them. Addressing the delegation, Ahmed Hassan Moughal, President, Islamabad Chamber of Commerce & Industry said that minorities were playing important role in the economic development of Pakistan that was laudable. He said Pakistan was emerging as a big consumers’ market and youth including minority youth has great potential to carve its future in entrepreneurship. He said by becoming entrepreneurs, they would not only achieve a prosperous career, they would also create jobs for others and contribute towards reducing poverty and unemployment from the country. He said ICCI has formed a Minority Affairs Committee led by Ch. Ashraf Farzand that was working for resolving the key issues of minority community traders and industrialists.